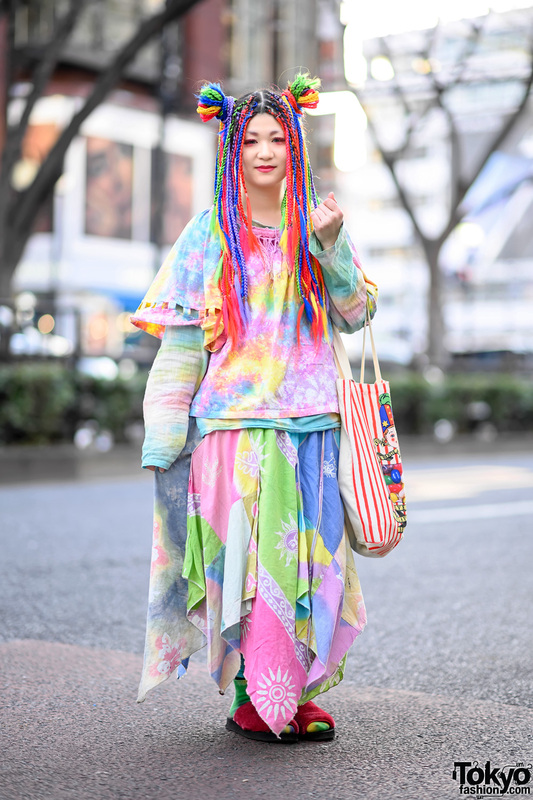 It was difficult to miss Weni with her bright red ensemble while walking down the streets of Harajuku. The model stepped out in a Forever 21 red crop top with an off-the-shoulder design and matching red pants from Bershka. 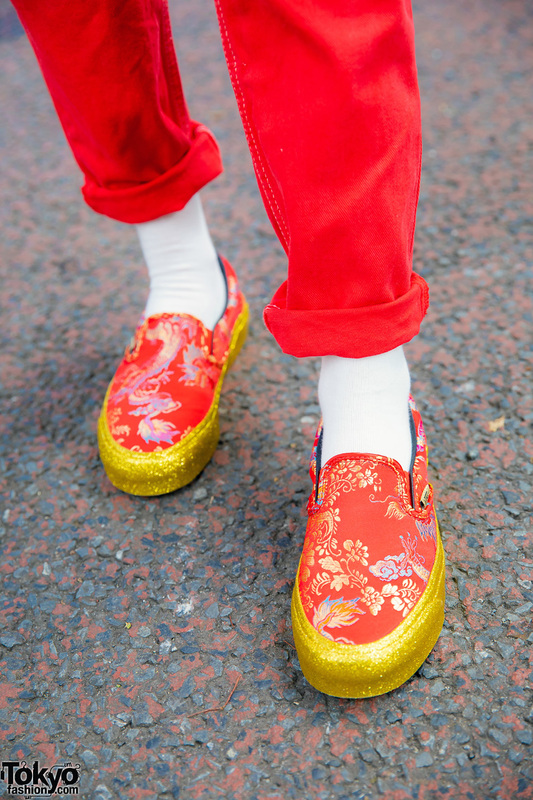 Weni styled them with a red belt, white socks, and Vans x Opening Ceremony “Qi Pao” red sneakers with gold soles and a floral pattern. 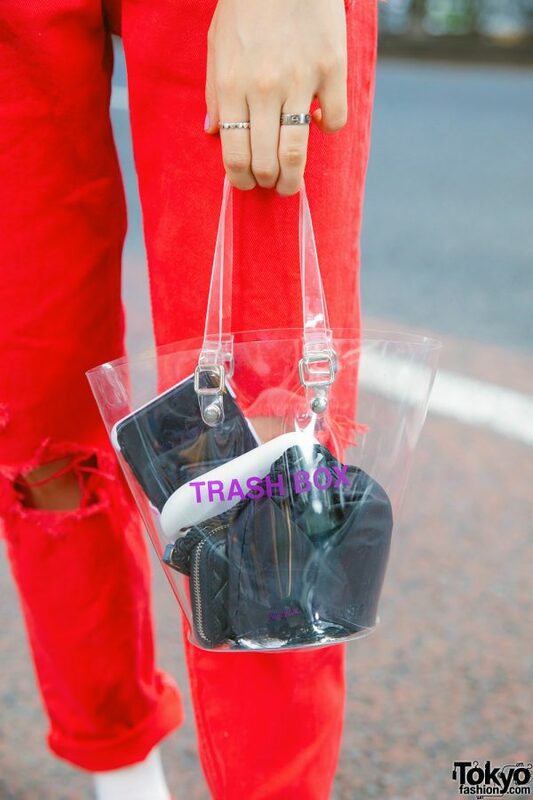 She also carried a clear TrashBox handbag from Nana-Nana and wore an assortment of luxury jewelry pieces. Weni wore rings from Gucci, Tiffany & Co., and Cartier. She also had on bracelets from Louis Vuitton, Valentino, and Chanel. Red lips, large hoop earrings, and a Louis Vuitton choker completed her look. Weni gets her favorite fashion items from Nike and American Apparel, and she enjoys listening to pop music. For more on Weni, follow her on Instagram.